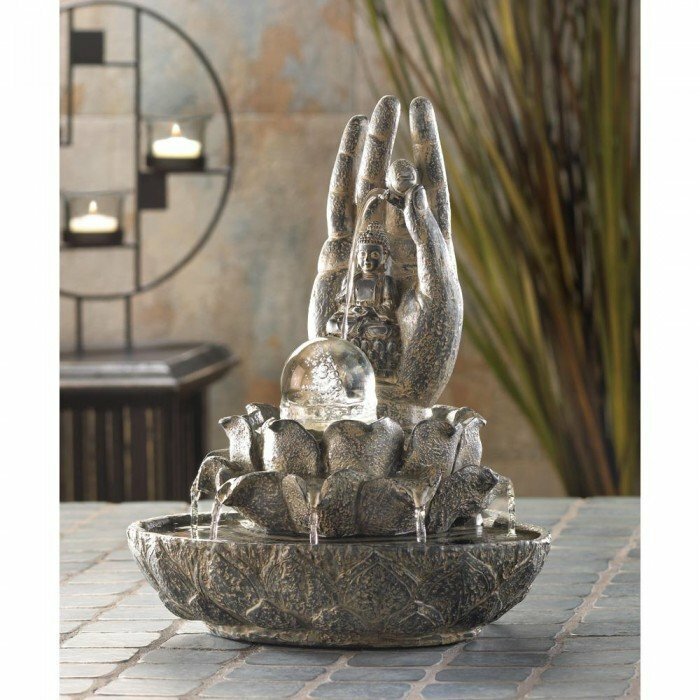 HAND OF BUDDHA FOUNTAIN by Cascading Fountains home decor, jewelry, decor, decorations, electronics, fountains, floor mats, art glass, vases, garden essentials, fireplace screens. Weight 3 lbs. Polyresin. UL Recognized. Some Assembly Required. 9" x 7 7/8" x 11 1/2" high.